If you are looking for a stylish and fashionable USB Flash Drive, then you come to the right place! "Heart-Shaped Love" Designer USB flash drive is elegantly designed with colorful gleaming rhinestone crystals that will be noticeable everywhere you take it. Also Its a great gift for those ladies who love everything in fashion. With a stylish fashion design, this elegant USB Flash Drive is an envious gadget. 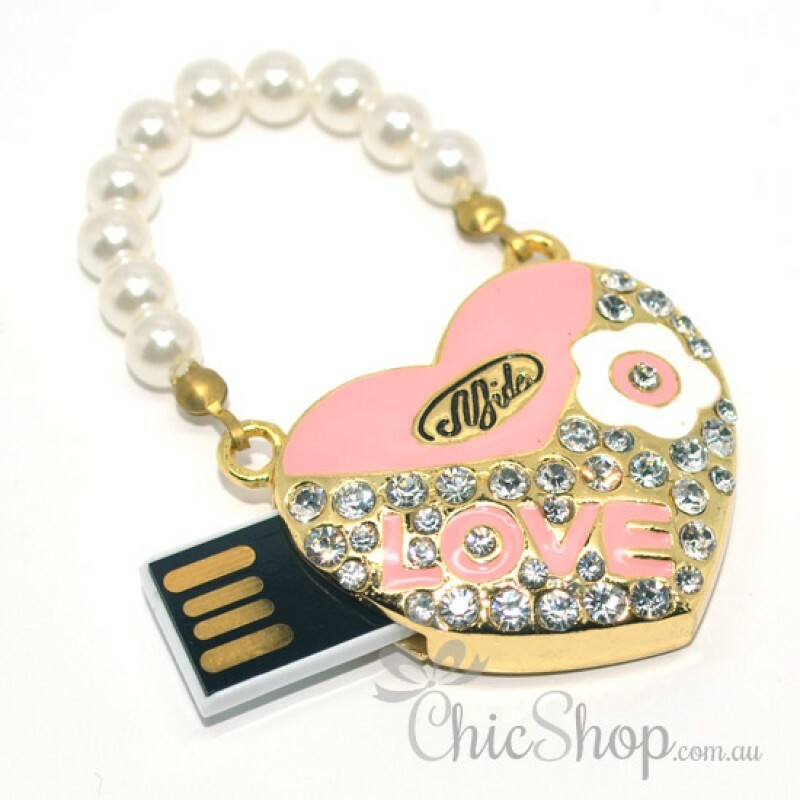 This Heart-Shaped LOVE USB flash drive is capable of carryng 4GB worth of data. This can be a perfect gift for a stylish & fashionable girl as well.